Did you taste dinosaur pee the last time you drank a bottle of water? Probably not. Even so, the molecules that form your drinking water are the same molecules that have been recycled since before dinosaurs walked the Earth. And those same molecules have been through a lot of, well, sewage. It's an endless cycle: creatures soil water, natural process renews the water, creatures drink the water. Repeat. It’s a fascinating system. And, as if unaware of the delicate balance that provides our life-giving resources, some humans carelessly test nature’s limits, especially when it comes to chemical waste or medical waste disposal. What's worse- they tell others to do the same! We’ve gathered some of the worst advice we’ve ever heard about chemical disposal. Since there’s an element of truth to this one that makes it almost seem logical, it’s the worst type of advice. Many chemicals can be diluted, but diluting a hazardous material doesn't remove the hazard. It is actually illegal to try to dispose of hazardous chemicals this way. However, it’s not always dangerous to allow chemicals down the drain. The Clean Water Act requires water treatment plants to have neutralization processes for certain substances that end up in water. Realistically, though, more chemicals exist than could ever be planned for. Never presume that a sewage plant can treat any chemical waste. It might seem like flushing chemicals is a quick and cheap cleanup fix, but consider the potential repercussions. You could be cited with violations and incur hefty fines if you’re caught. And with sensor technology and data location, it’s very likely that violators could be tracked down. It’s true that the dose makes the poison; small quantities of improper chemical disposal may not prove fatal to anyone. The real problem, however, is that you have no way of knowing where that little bit of hazardous waste ends up. Imagine reaching under a table and finding chewed up gum - even just “a little bit.” Think of the face you’d make. That’s the exact face the ecosystem is making when you try to circumvent proper chemical disposal. And the face you’ll be making when you learn the criminal provisions of RCRA the hard way: 5 years locked up and up to $50,000 per day! If it’s not labeled, you’re off the hook for disposing of it as “hazardous"
You’re even more ON the hook. It is against regulations for chemicals to be unlabeled. In fact, unknown chemicals should be treated as toxic and hazardous. The risk of not knowing the identity of a chemical is enough to prohibit it from being legally transported. The only way around this is to have the chemical analyzed and categorized. Practices like these are common in many rural areas, but this is actually terrible advice! Pouring motor oil into the ground is illegal. And no, you're not just putting it back where it came from. Motor oil isn't the same raw petroleum that is drilled from the ground. Used motor oil is synthetic and filled with chemicals and toxins. Pouring it into the local earth means you'll eventually drink it or eat it in home-grown veggies. While you should recycle motor oils, it’s best done by professionals. And trying to poison unwanted animals with antifreeze is misusing the product and can be considered illegal in some states. There are no federal regulations about antifreeze specifically, but many states have rules governing its disposal. And unethical! What if a child or pet finds it? If a worker is not sufficiently trained in HAZMAT, he might make a choice or mistake that could, at worst, cost him his life. Even minute hazardous discharges can cost the company money and throw the local ecosystem out of balance. Incineration, for cleaning Superfund sites, is a recognized method of chemical disposal. Put your matches away, though; to effectively burn away the hazards, the waste must be heated for 90 minutes at lava-hot temperatures (1600°F - 2500 °F!). Then, the resulting gases must be captured. Does that mean you can just bury it? Only after you have hired engineers to properly construct your hazardous waste landfill. And a staff to maintain it. 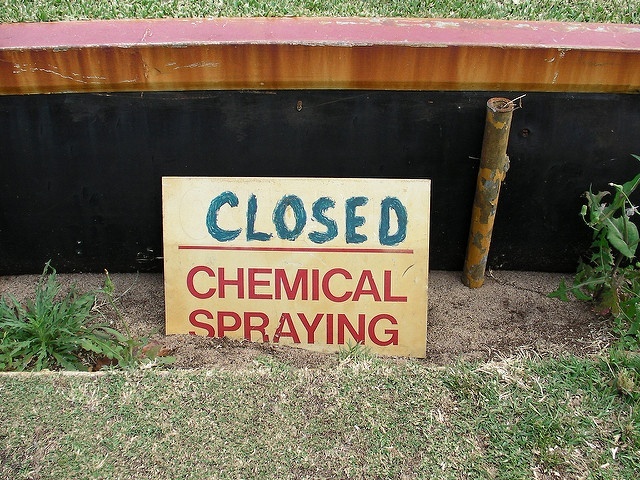 Just call a professional about chemical disposal. It’s cheaper.